This is part two of my theorycrafting articles on tactical destroyers. You can read part one of this series here. These are based on the latest rounds of changes that Fozzie announced here. I will go through what these changes will mean for the Svipul and how the current cookie cutter fits will adapt. Lastly, I’ll discuss what new opportunities these changes open up. 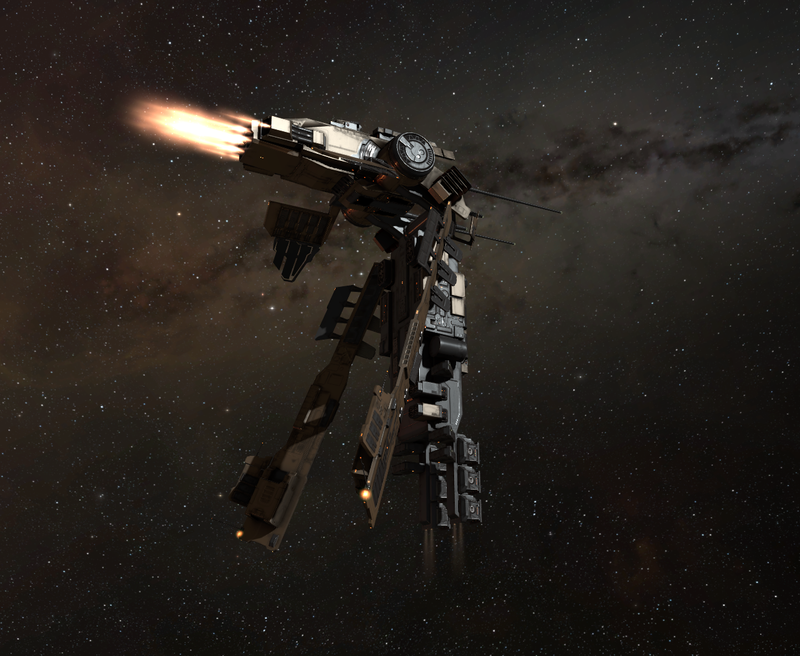 As with the Confessor, CCP has decided to drop two guns in favour of a 50% damage bonus, resulting in the same effective DPS from fewer turrets. 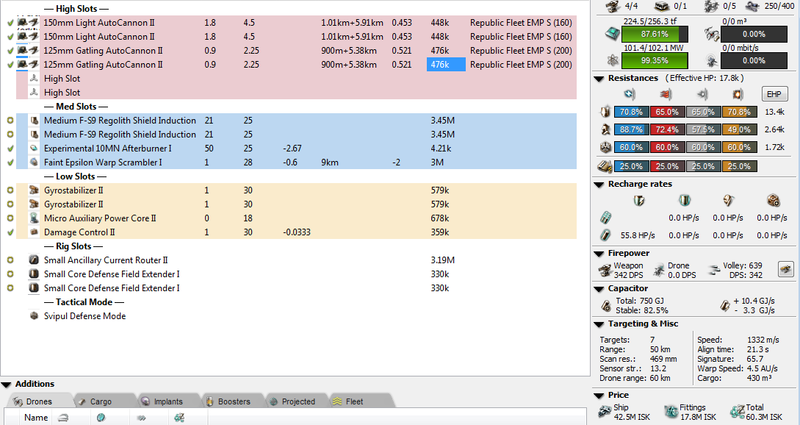 I think one of the problems the Svipul had before was that artillery is so difficult to fit, CCP had no option but give the hull a lot of power grid. Autocannon fits therefore had a ton of leftover power grid, allowing for strange fits such as large shield extender versions or being able to fit 200mm autocannons, dual medium shield extenders and a 10mn afterburner easily. It is actually quite funny how CCP chose to implement this 50% small projectile bonus… [*] Svipul [+] shipBonusPirateFrigateProjDamage [+] shipBonusPirateFaction: 50.0 …by stealing the Angel Cartel bonus. I personally think that the new four guns and two utility high-slot layout on the Svipul will be way stronger than what we currently have. Dual energy neutralizers, for example, will be very effective because of the cap-less nature of autocannons, and the fact that Svipuls often don’t have many active modules nor fit a capacitor booster. This might ring a few bells for anyone who remembers the old-school Hurricane glory days. Fewer guns also means longer overheating, increasing DPS a little more. Next are the reduced fittings for the Svipul. You get a big 19 power grid reduction and also lose 10 CPU. So what does this work out to on an all V character? A pre-patch Svipul currently has 97.50 power grid and 268.75 CPU. 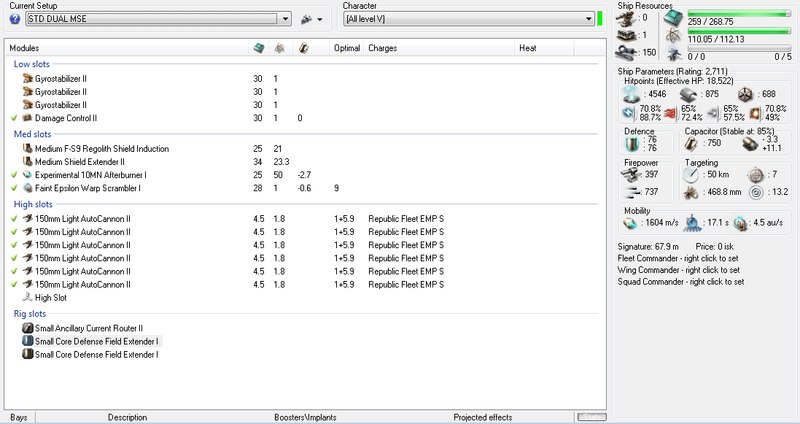 After the balance pass, you will instead have 73.75 power grid and 256.30 CPU. 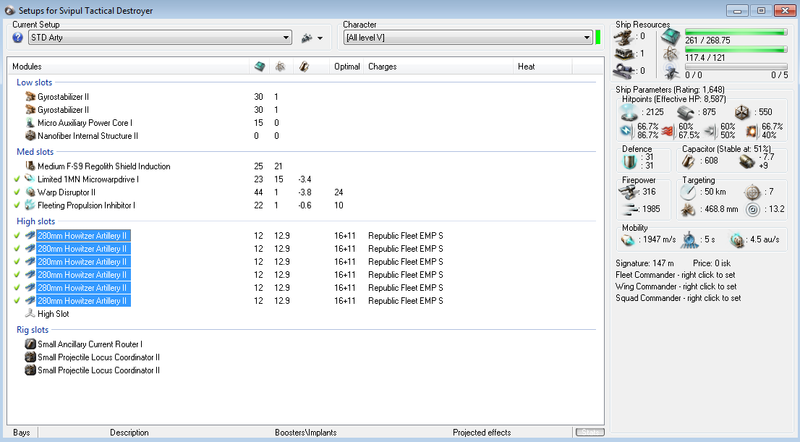 After coming up with a couple of fits in Pyfa, it seems like the power grid nerfs will hit the Svipul especially hard. Going from a ship that has more or less infinite power grid when fitting up, to something where you will have to make a couple of sacrifices to get everything you might want on is good, in my opinion. Here you can clearly see that the Svipul with an oversized prop-mod will be difficult to move around and align. A 21 second align time is slower than a battleship. This is really noticeable especially on a ship that is still this fast. Personally I wonder if 10MN fits will be even worth it after the change. They will always have a place as a module to disengage with even when hard tackled, but you can not expect a Svipul to be able to do a close orbit on a cruiser and stay under its guns easily anymore. An interesting point here is that the Confessor will have similar align times with a 10MN afterburner after the patch as a Svipul has beforehand. If you want to check out how this feels, I suggest you go onto Sisi and test it out. Finally, we have small nerfs to both capacitor and shield recharge rates. 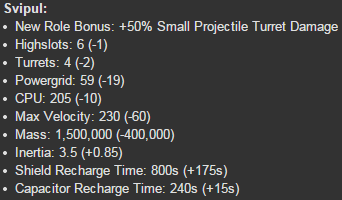 While I consider these non-factors for the Confessor, the shield recharge change will have some effect here. 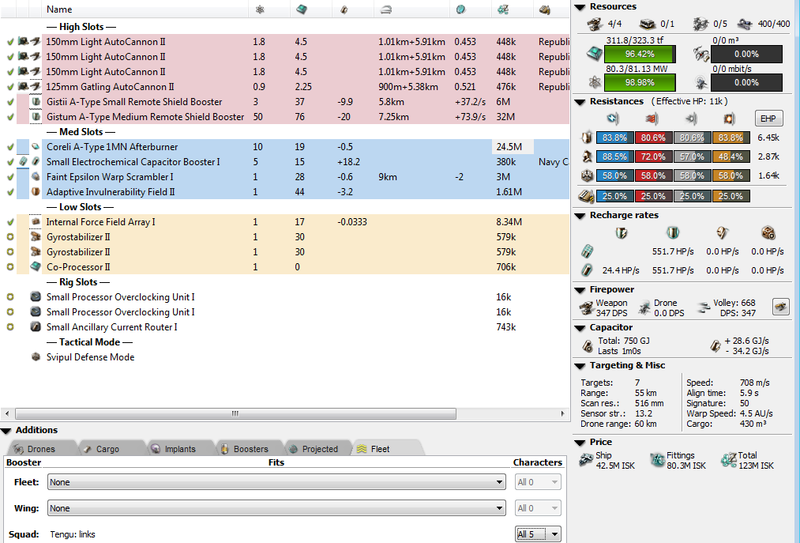 There are a few more unorthodox Svipul fits utilizing passive recharge for PvP with purger rigs and shield power relays. Those will have their regen reduced by around 50-100 DPS. For the more standard dual MSE fits, you will go from around 70 passive DPS tank to 50—nothing super major, but it will hurt. Unlike the Confessor, I think the Svipul still has many different viable fits. 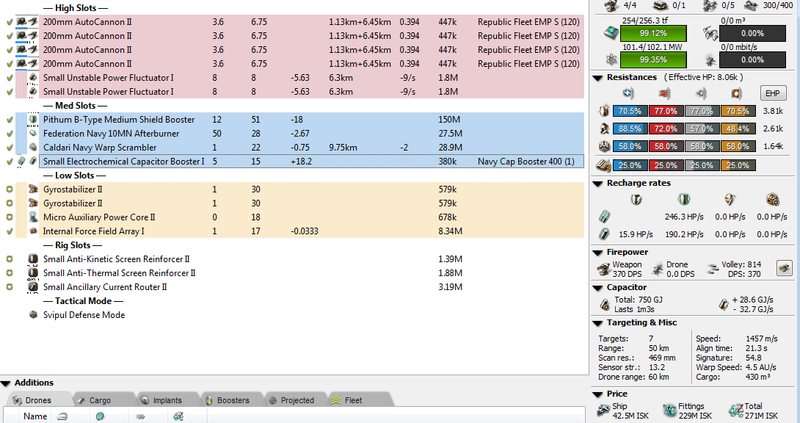 The ship is very flexible with its resistance bonuses to both armor and shields. For this article, I am going to use a dual MSE fit, a medium ASB fit, and an artillery fit as my examples. This medium shield extender fit uses a really high buffer tank with an oversized propulsion module, helping you stay in range for your weapons despite having no web. 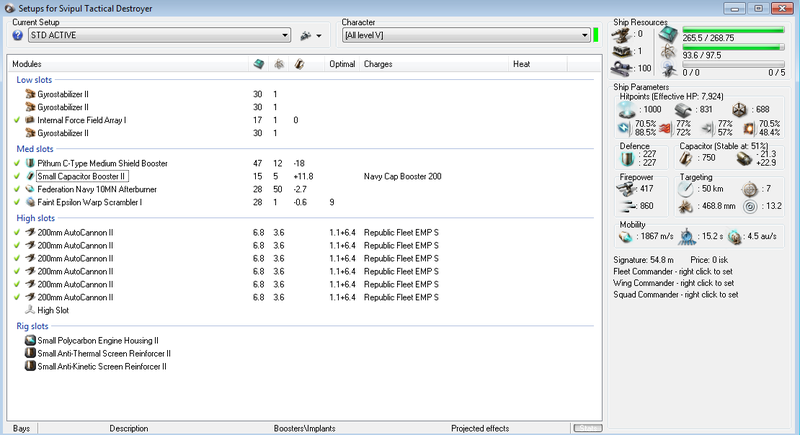 This fit does a ton of damage, and boasts 18k ehp in defensive mode. This is a standard MWD kite Svipul that happens to be decent. The high alpha is good for quickly removing light tackle before they have a chance to react, activate tank modules, and burn away. Some people will run this with different ammo, using either Titanium Sabot or Depleted Uranium. These lesser used ammos come with a 20% tracking bonus and no optimal penalty, making sure this Svipul has plenty of range. After the patch, this fit will actually change for the better—you will be able to fit a T2 MSE with the same fit and get a bit more tank. A small fleet of these with links is able to remote repair tank 500 DPS (600 if you heat invul) per Svipul. You will also have full tackle if you alternate between scrams and webs on your Svipuls. This is a fleet concept I would love to try out—with the NPSI community micro-gang help that I am part of—after the patch hits. I am a big fan of the mobility hits that the Svipul received, especially with the 10MN afterburner. I do think, however, that the main problem will still be there. Svipuls will still be able to get close to 20k EHP, and the two utility highs that they have might actually push them into a even better spot than they currently are. I am really looking forward to seeing what CCP has decided to do with the Hectate and Jackdaw. 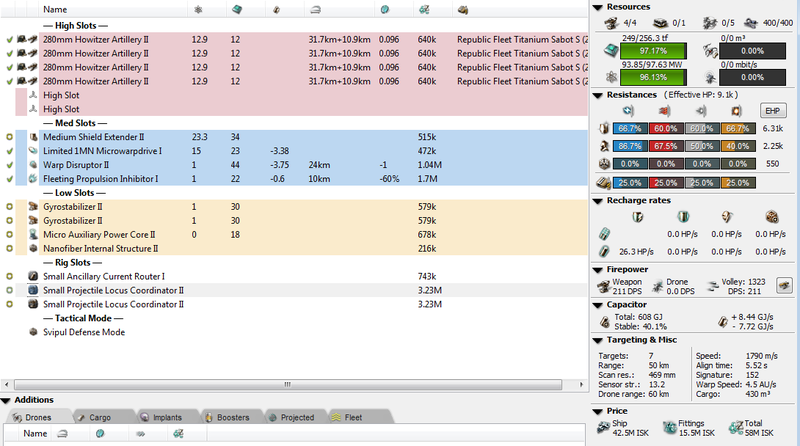 We were shown basic first proposals for slot layouts and stats for these, but after seeing the recent changes to the Svipul and Confessor, I am not so sure how reliable that info still is (after I have been cut out from Confluence). Thanks to Namamai for the pyfa file and Kadesh Priestess for fixing it and Fatyn for editing it. Gorski Car was a CSM 9 member whose theorycrafting and knowledge of mechanics has had a key role in helping CCP adjust how we play EVE. He is an avid small gang PvPer with a background in lowsec, but flies in all areas of space, depending on his fancy.